There aren’t many books I remember vividly from my childhood. I read the odd Roald Dahl story and was in the privileged generation of kids who progressed up through school just as Harry Potter and his friends (and indeed enemies) were doing the same. But the book I had the most pleasure reading came out every year towards the end of the summer. 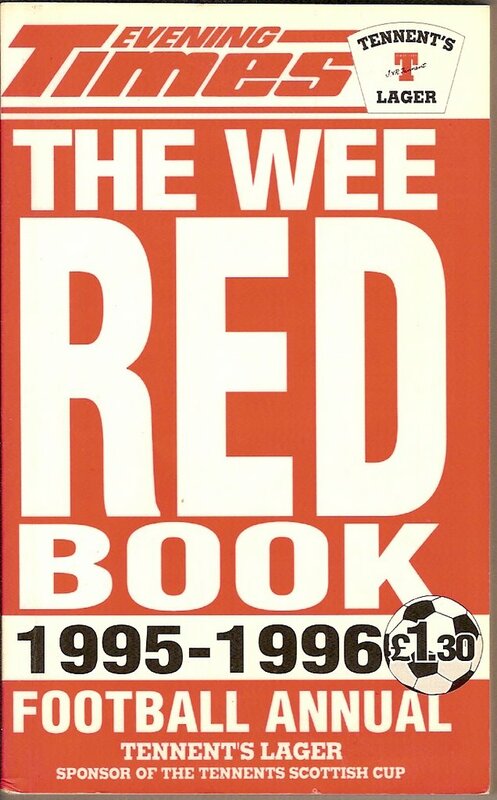 It was wee and red, and was creatively called, The Wee Red Book. The Wee Red Book contained all of the football fixtures for the season ahead, profiles of each team and the result of every game that had ever been played by the Scottish national team. It detailed the top scorers in Scottish and English club football for the past 50 or so years and was an absolute fountain of knowledge. Later issues included a single page about ‘assists’- the identity of the player who provided the pass to the goal-scorer, and how many times he had done so. These records didn’t go very far back at all and appear to have only started being systematically recorded upon the founding of the English Premier League in the early 1990s. Without getting too technical, an assist can be responsible for almost all of what it takes to score a goal, apart from providing the final touch. The legendary French striker Eric Cantona claimed that the best feeling in his career came not from scoring a goal, but from providing an assist. Apparently it was only relatively recently that the football world (at least those who are in charge of compiling statistics) recognised this vital support role and the need to acknowledge those who play it. During the course of my research I have encountered numerous organisations that support the development of social enterprises. Some support organisations are themselves legally constituted as social enterprises while many others are private businesses, generating personal profit from a sector ostensibly constituted to value collective gain over personal enrichment. A number of people have been less than complimentary about this sector of social enterprise ‘consultancies’, with some seeing them as simply limpets, clinging on to the growth in funding and policy attention directed at social enterprises. Others, however, recognise the role played by such organisations in lobbying and developing the policy environment which supports social enterprises, doing the leg-work behind the scenes which may not directly impact on any individual social enterprise, but lay the groundwork for the potential success of the sector. So what status should we give to these organisations that play a role in developing social enterprises, in helping to lay the groundwork for organisations to achieve their social ‘goal’ (pun intended)? Are they collaborators in delivering that goal? Do they provide the assist, the Eric Cantona to Social Enterprise’s Dennis Irwin (https://www.youtube.com/watch?v=H_uzU85htH4), or simply seek to share in the glory and riches while contributing relatively little?